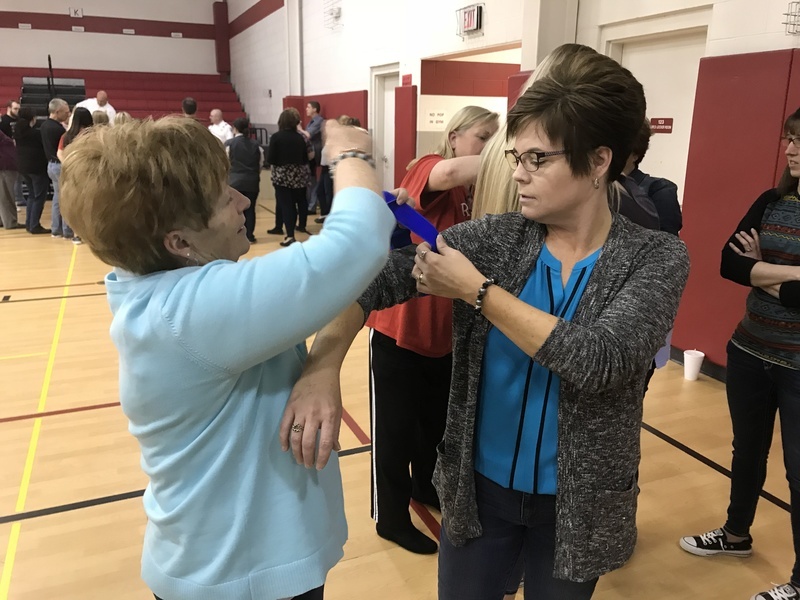 Westville School District hosted a school workshop focused on emergency first aid titled “Stop the Bleed” on Friday April 27. 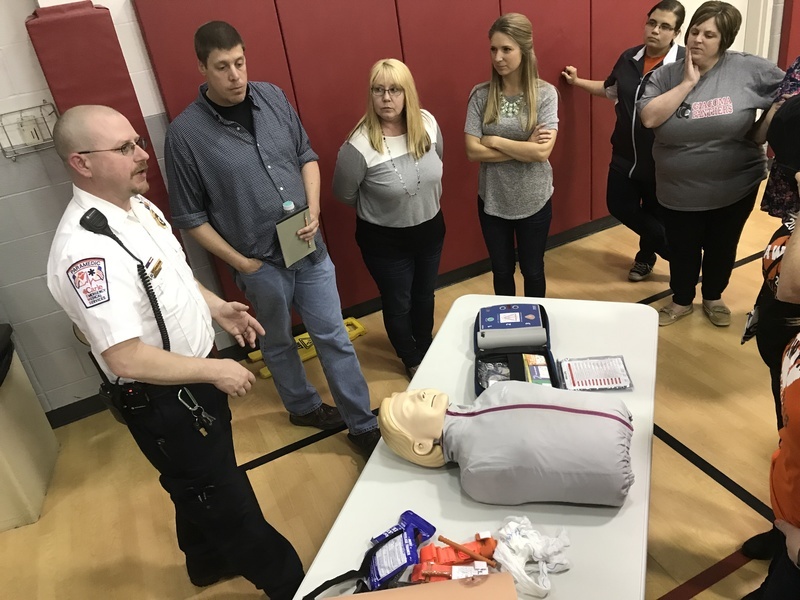 This informative training was provided by the Carle Arrow Ambulance Service associated with Carle Hospitals and medical facilities. 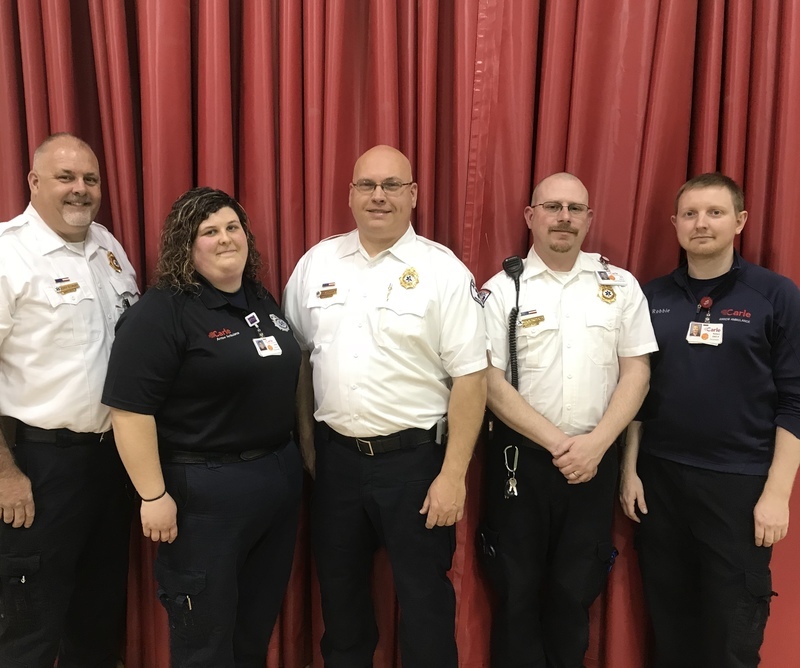 Highly trained first responders John Sollars, Robbie Miller, Sarah Dunavan, Rich Washkowiak, and Jerry Beckley led the session with a presentation on best practices for emergency first aid. 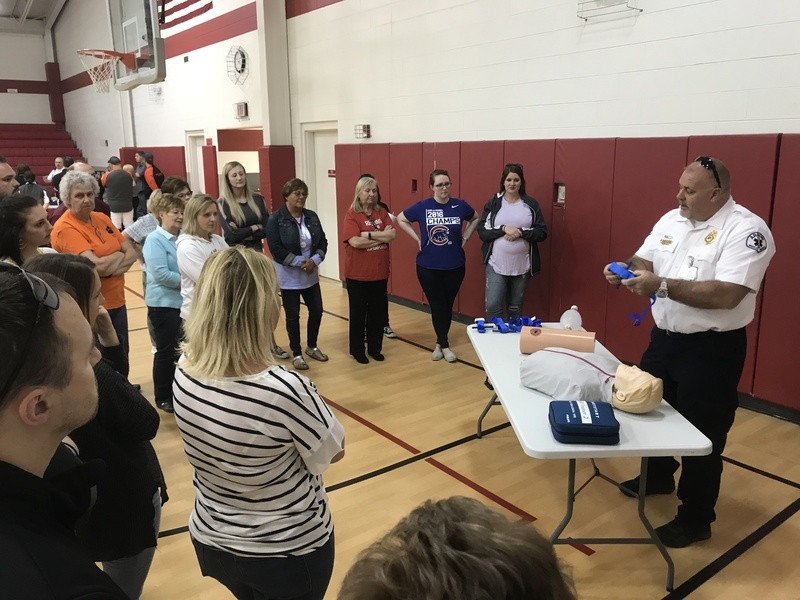 The training additionally included a hands-on portion, during which faculty and staff were able to practice applying tourniquets, accessing AED’s, and learning about hands-only CPR. 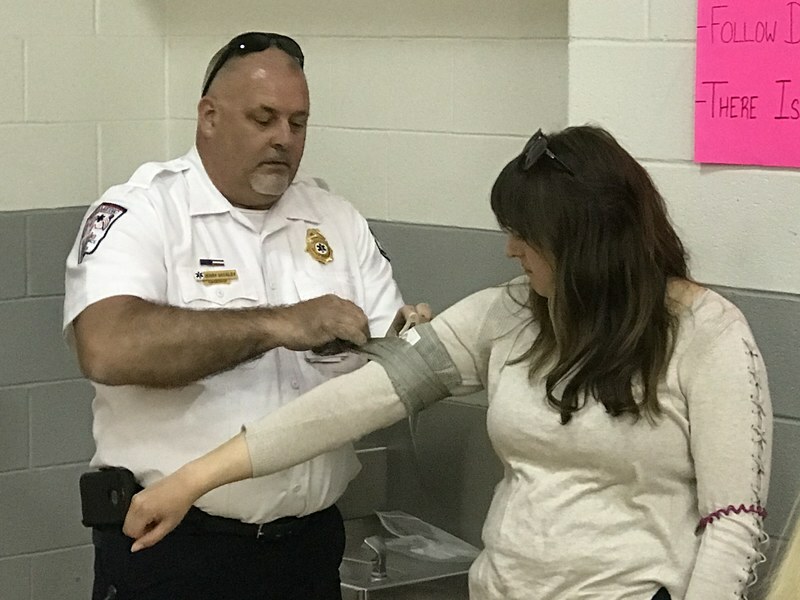 The “Stop the Bleed” training is part of the district’s commitment to provide our school community with trained faculty and staff, committed to the safe and secure operation of our schools. 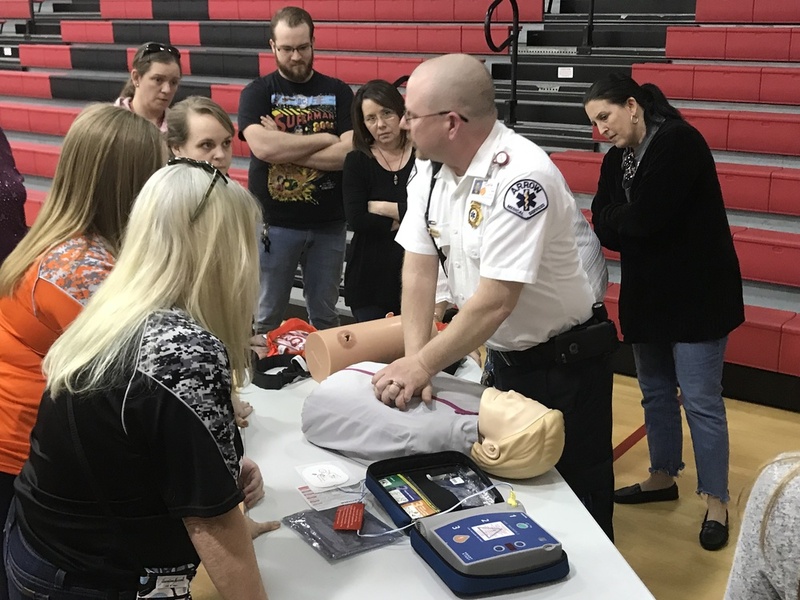 Westville School District would like to extend its thanks to the Carle Arrow Ambulance Service team for providing this valuable training. Additionally, the district would like to recognize the Westville alumni first responders involved in this training, John Sollars, Robbie Miller, Rich Washkowiak, and Jerry Beckley. First responder (and WHS alumnus) Jerry Beckley presenting on how to properly employ a tourniquet. Thank you for your service and your training Carle Arrow Ambulance Service!